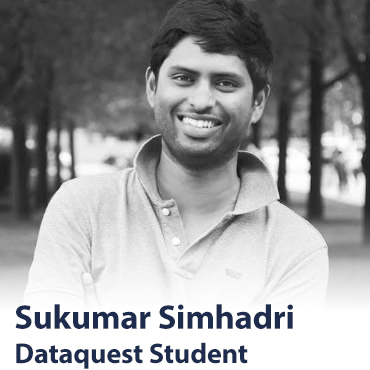 At Dataquest, our interactive courses provide a pathway for you to become a Data Scientist, just like Sukumar. We teach you skills and help you build projects so you can get from not knowing how to program, to starting a brand new career. Practical Deep Learning For Coders, Part 1"